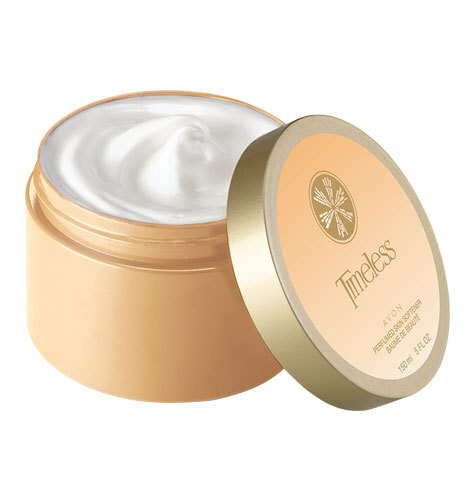 Full Size AVON Timeless Perfumed Skin Softener 5.0 fl. oz. Each. Regular Avon Catalog Price 5.75ea. You save over 70%!! Rich fragrance design of florals blended with luxurious woodsy powdery undertones. 5 fl. oz. "I love Avon products,because they are very good products. I have been a customer for a lot of years. The skin softeners I love the most. They make you feel soft and smell good too. I would recommend Avon to everyone,that I know. Keep up the good work with the wonderful products." -Rosebud57, Sacramento We offer combined shipping for all orders to save you money! How to save money with automatic combined shipping: Place all items to be purchased from Pamperu2 into your cart before paying for them. Enter your shipping address when prompted. Pay for them when finished. Our automatic combined shipping calculator will do the rest.